Effective Date: February 26, 2019 This Subscription Agreement may be amended from time to time. BY CLICKING THE "I ACCEPT" CHECKBOX ON THE REGISTRATION PAGE, BY EXECUTING A WRITTEN COPY OF THIS AGREEMENT, OR BY INSTALLING, COPYING OR OTHERWISE USING THE ISEEHEAR TECHNOLOGY, YOU AGREE TO BE BOUND BY THE TERMS OF THIS AGREEMENT. IF YOU DO NOT AGREE WITH ANY TERM OR CONDITION, DO NOT ACCESS, DOWNLOAD, ORDER, OPEN, INSTALL OR USE THE ISEEHEAR TECHNOLOGY. THIS SUBSCRIPTION AGREEMENT is made between ISEEHEAR INC. ("Iseehear") and the customer whose information has been provided to Iseehear in the course of entering into this electronic contract ("Subscriber"). 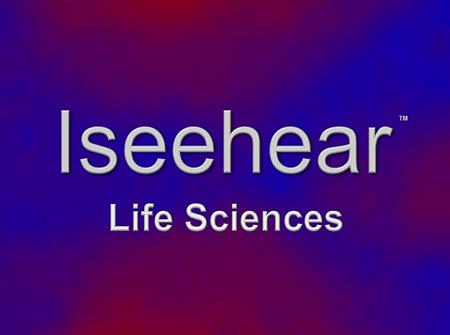 Iseehear has developed an information technology application primarily for use by scientific researchers the purpose of which is to enhance collaboration among researchers and related stakeholders. Access to the Iseehear Technology is delivered by an Internet browser accessible Website that contains the records for one or more Research Projects as determined by the Subscriber. Website Users will be authorized by the Subscriber to create and access documents for Research Projects relevant to the Website Users by means of Username and Password authentication. The rights of various Website Users will be determined by the Subscriber's administrators. This Agreement, including the schedules hereto, (collectively, the "Agreement") sets out the provisions pursuant to which the Subscriber is entitled to utilize the Technology. "Materials" means the materials relating to Research Projects placed from time to time on the Website for access by Website Users but not including anything placed on the Website by Iseehear. "Service Level Commitment" means a service level commitment to Subscriber by Iseehear contained in Schedule C.
"Website Users" means those persons who are authorized by Subscriber to access the Website for purposes of participating in one or more Research Projects in accordance with this Agreement. words or abbreviations which have well known or trade meanings are used herein in accordance with their recognized meanings. Subscriber hereby subscribes for the Services as set out herein, and Iseehear hereby agrees to provide the Services in accordance with this Agreement provided that Subscriber carries out its obligations set out in this Agreement. Iseehear makes available to Subscriber and Website Users a digital information repository pertaining to Research Projects where Website Users can examine digitally stored project documents and, where authorized, add to or modify same. Iseehear will maintain the Technology in good working order in accordance with its Functional Specifications and will provide support desk response to Website Users within 24 hours of receipt by way of phone or email. Subscriber and Website Users have sole responsibility for the accuracy, quality, integrity, legality, reliability, appropriateness, and intellectual property ownership or right to use of all Materials and Iseehear shall not be responsible or liable for the deletion, correction, destruction, damage, loss or failure by Subscriber or Website Users or for their failure to store any Materials or for their misuse of the Technology. If Subscriber requests by email, Iseehear will make available to Subscriber by way of download a digital file of the Materials within 10 days of delivery of such request. It will be the responsibility of the Subscriber to effect the download within such 10 day period. This provision will survive termination of this Agreement for 30 days. Upon termination for Subscriber Event of Default, the right of Subscriber and Website Users to access or use Materials immediately ceases, and Iseehear shall have no obligation to maintain any Materials beyond a period of 30 days following termination. ISEEHEAR WILL NEVER EXERCISE ANY LIEN AGAINST THE MATERIALS OR OTHER DATA STORED ON THE WEBSITE AND WILL NEVER BREACH ITS CONFIDENTIALITY OBLIGATIONS CONTAINED IN THIS AGREEMENT FOR ANY REASON, INCLUDING TERMINATION OF THIS AGREEMENT. Iseehear hereby grants Subscriber the right to access and use, and to grant the Website Users access to, and use of, the Technology only via the Website and offline modules forming part of the Technology and for the sole purpose of providing Website Users access to the Materials. The right granted to Subscriber to use the Technology, and the Services, terminates when this Agreement terminates or expires. Iseehear retains all rights in the Technology not specifically granted to Subscriber. Subscriber does not have the right, and hereby covenants not, to reverse engineer, disassemble, decompile, unlock, recreate, copy, license, sublicense, create derivative software from, sell, rent, lease, loan, distribute, transfer or otherwise deal with the Technology or any part thereof. In consideration of the provision of the Services by Iseehear, Subscriber shall pay to Iseehear the Fees described in Schedule B. Subscriber shall pay all applicable taxes on all Fees, but shall not be responsible to pay any taxes on Iseehear's income. Subscriber shall pay interest to Iseehear on overdue accounts at the rate of 1 percent per month (12 percent per annum), compounded annually. In addition to any other rights granted to Iseehear herein, Iseehear reserves the right, upon 30 days' written notice, to suspend access to the Website for non-payment of Fees. Iseehear owns and will own all intellectual property rights in the Technology and the Website, including the look and feel of the Website and the Technology, feedback, requirements and suggestions of Website Users, the database designs, the architecture of all information technology and any elements of such technology that are intrinsic to the Technology. As between Iseehear and Subscriber, Subscriber will own all intellectual property rights in the Materials. Subscriber and Website Users are responsible to enter into their own agreements for intellectual property ownership among them. The parties may agree, by separate agreement, that the Website be private branded using the Subscriber's trade-mark. Notwithstanding the use of such brand on the Website, all trade-marks of Subscriber shall remain the property of Subscriber and shall not be used by Iseehear for any purpose. Subscriber recognizes that Iseehear shall be entitled to insert a legend or footnote on the Website indicating that the Website has been developed by Iseehear, and Iseehear may insert a hyperlink in such legend or footnote linking the Website to Iseehear's own web site the URL of which is https://www.iseehear.com. Each party acknowledges that it would be damaging to the other party if its Confidential Information were disclosed to or obtained by third parties. Accordingly, each party shall make all reasonable efforts during the term of this Agreement and thereafter to prevent the other party's Confidential Information from being disclosed to or obtained by any person or entity for any purpose except as described in this Article 6. Each party's efforts will not be less than those that it takes to prevent disclosure of its own proprietary information of like significance. The Receiving Party will be responsible for breaches by its Representatives of this Article 6. Without limiting the generality of the foregoing, Iseehear will keep confidential all Confidential Information furnished to it or its Representatives and will use such Confidential Information solely for the purpose of providing the Services. It is not a breach of Section 6.1 to disclose Confidential Information required to be disclosed by law, judicial or arbitration process or by governmental authorities, provided that the Receiving Party first gives the Disclosing Party reasonable notice of such law, order or process and takes all reasonable steps to restrict such disclosure and protect the confidentiality to the extent possible. in the event of any violation of any provision of this Article 6, the Disclosing Party shall be entitled to apply for equitable relief by way of temporary or permanent injunction and to such other relief as any court of competent jurisdiction may deem just and proper. Each party covenants, represents and warrants to the other that it has the right to enter into this Agreement. Subject to Section 2.2(b), Iseehear will not remove Materials from the Website during the currency of this Agreement. Iseehear will maintain security of the Website in accordance with competent information technology practices and will notify Subscriber promptly by email if it learns of any breach of Website security. Iseehear will not allow access to the Website to any person other than its own database administrator(s) and Website Users. Iseehear will automatically monitor the Website for computer viruses but is not responsible for viruses that are contained in Materials or for any automatic quarantine or expunging of Materials that have been uploaded with viruses. Iseehear will use reasonable commercial efforts to achieve the Service Level Commitments throughout the term of this Agreement. THE REPRESENTATIONS AND WARRANTIES CON­TAINED IN THIS AGREEMENT ARE IN LIEU OF ANY OTHER WARRANTIES OR CONDITIONS, EXPRESS OR IMPLIED, INCLUDING, BUT NOT LIMITED TO, IMPLIED WARRANTIES OR CONDITIONS OF MERCHANTABLE QUALITY OR FITNESS FOR A PARTICULAR PURPOSE, AND THOSE ARISING BY STATUTE OR OTHERWISE IN LAW OR FROM A COURSE OF DEALING OR USAGE OF TRADE, ALL OF WHICH ARE EXPRESSLY DISCLAIMED. EXCEPT AS SPECIFICALLY SET FORTH IN THIS AGREEMENT, ISEEHEAR MAKES NO REPRESEN­TATION, WARRANTY, OR GUARANTY AS TO THE RELIABILITY, TIMELINESS, QUALITY, SUITABILITY, TRUTH, AVAILABILITY, ACCURACY OR COMPLETE­NESS OF THE SERVICE. ISEEHEAR DOES NOT REPRESENT OR WARRANT THAT (A) THE USE OF THE SERVICE WILL BE UNINTERRUPTED OR ERROR-FREE OR OPERATE IN COMBINATION WITH ANY OTHER HARDWARE, SOFTWARE, SYSTEM OR DATA, (B) THE SERVICE WILL MEET THE REQUIREMENTS OR EXPECTATIONS OF SUBSCRIBER OR WEBSITE USERS, (C) ANY STORED DATA WILL BE ACCURATE OR RELIABLE, (D) ERRORS OR DEFECTS WILL BE CORRECTED, OR (E) THE SERVICE OR THE SERVER(S) THAT MAKE THE SERVICE AVAILABLE ARE FREE OF VIRUSES OR OTHER HARMFUL COMPONENTS. EXCEPT AS SPECIFICALLY SET FORTH IN THIS AGREEMENT, ALL CONDITIONS, REPRESENTATIONS AND WARRANTIES, WHETHER EXPRESS, IMPLIED, STATUTORY OR OTHERWISE, INCLUDING, WITHOUT LIMITATION, ANY IMPLIED WARRANTY OF MERCHANTABLE QUALITY, MERCHANTABILITY, FITNESS FOR A PARTICULAR USE OR PURPOSE, OR NON-INFRINGEMENT OF THIRD PARTY INTELLECTUAL PROPERTY RIGHTS, ARE HEREBY DISCLAIMED TO THE MAXIMUM EXTENT PERMITTED BY APPLICABLE LAW BY ISEEHEAR. the copying or use of any part of the materials produced by Iseehear in the course of rendering the Services; infringes any relevant trade-mark, industrial design, trade secret or copyright provided that Iseehear is notified promptly, has the exclusive right to control such defence and, at its request and expense, is given authority and assistance by Subscriber reasonably required for such defence. Iseehear will pay all damages awarded in any such suit, action or claim and will indemnify and save harmless Subscriber from any other liability reasonably incurred by it as a result of such suit, action or claim. by Subscriber, from the combination of the Technology by Subscriber with other software, equipment, systems or process or from a claim that is based on Subscriber's use of the Technology other than in accordance with this Agreement. Subscriber shall defend or settle at its own expense any and all suits, actions or claims against Iseehear charging that any part of the Materials or the posting thereof on the Website infringes any relevant trade-mark, industrial design, trade secret or copyright or constitutes an illegal disclosure of the confidential information of a third party, provided that Subscriber is notified promptly, has the exclusive right to control such defence and at its request and expense, is given authority and assistance by Iseehear reasonably required for such defence. Subscriber will pay all damages awarded in any such suit, action or claim, and will indemnify and save harmless Iseehear from any other cost or liability reasonably incurred by it as a result of such suit, action or claim; provided that nothing in this Section 8.2 shall require Subscriber to indemnify Iseehear for any matter arising exclusively from any Default by Iseehear. Subscriber may terminate this Agreement upon an Iseehear Event of Default. Subscriber may elect to terminate this Agreement if Iseehear fails to achieve certain Service Level Commitments, as set out in Schedule C.
Iseehear may terminate this Agreement upon a Subscriber Event of Default. Any termination hereof shall be by written notice of the terminating party to the other party setting out, as the case may be, the Iseehear Event of Default or Subscriber Event of Default or failure to achieve Service Level Commitments for 30 consecutive days that has given rise to the right of termination. In the event of the termination hereof, each party shall return to the other party the other party's Confidential Information or, upon request, destroy the Confidential Information and all copies thereof and certify in writing that the same have been destroyed. Notwithstanding such termination, all obligations arising prior thereto shall be complied with and any provisions of this Agreement that by their nature operate beyond the termination or expiry of this Agreement shall survive such termination. A party fails to make payment when due to the other party and such failure shall continue unremedied for a period of 30 days following receipt of notice thereof from the other party. it may exercise any of its other rights and remedies provided for hereunder or otherwise available to it at law or in equity. Upon the failure of a Subscriber to pay any amount payable to Iseehear, Iseehear may, in addition to any other rights herein or available at law, suspend the availability of Services to the Subscriber and Website Users pending payment of such amount. If Iseehear fails to achieve Service Level Commitments for 30 consecutive days, Subscriber's remedies are limited to availing itself of the remedies set out in Schedule C. Subscriber is not entitled to damages or any other remedy save the foregoing for failure to achieve the Service Level Commitments. Neither party shall be liable to the other for any delay or failure to perform due to fire, flood, earthquake, acts of God, acts of war, riots, civil disorder, strikes, lock-outs or labour disruptions, the failure of telecommunications systems or any other cause whether similar or dissimilar beyond its reasonable control (a "Force Majeure Event"). Upon the occurrence of a Force Majeure Event, the non-performing party shall be excused from any further performance of those of its obligations pursuant to this Agreement affected by the Force Majeure Event only for so long as such Force Majeure Event continues and such party continues to use commercially reasonable efforts to recommence performance whenever and to whatever extent possible without delay. deemed to have been received as of the next Business Day following its transmission if transmitted after 4 p.m. Eastern Time (Toronto). This Agreement may be executed in counterparts, all of which shall constitute one single agreement between the parties. This Agreement may be executed by Subscriber by clicking "Register" on the subscription page of Iseehear's subscription website. Except as expressly set out herein, nothing contained in this Agreement shall create or imply any agency relationship between the parties, nor shall this Agreement be deemed to constitute a joint venture or partnership between the parties. If any provision of this Agreement is held by a court of competent jurisdiction to be unenforceable or contrary to law, then the remaining provisions of this Agreement, or the application of such provisions to persons or circumstances other than those as to which they are invalid or unenforceable, shall not be affected thereby, and each such provision shall be valid and enforceable to the extent granted by law. This Agreement constitutes the entire agreement between the parties relating to the subject matter hereof, and there are no other representations, understandings or agreements between the parties relating to the subject matter hereof. This Agreement shall be governed by the laws of the Province of Ontario and the federal laws of Canada applicable therein, excluding their rules governing conflicts of laws. The courts situate in the City of Toronto shall have exclusive jurisdiction over all disputes. The parties agree that jurisdiction and venue in such courts are appropriate and irrevocably attorn to the jurisdiction of such courts. Iseehear Inc. ("Iseehear") makes available to Subscriber, via the Website and offline modules forming part of the Technology, a digital information repository pertaining to Research Projects where you and other Website Users can examine digitally stored documents and, where authorized, amend same or negotiate the amendment of same. You have sole responsibility for the accuracy, quality, integrity, legality, reliability, appropriateness, and intellectual property ownership or right to use of all documents and information you post on the Website and Iseehear shall not be responsible or liable for your or any third party's deletion, correction, destruction, damage, loss or failure to store any documents and information or for their or your misuse of Iseehear's technology. Every time you wish to access the Website, you are required to submit your Username and Password. Your Username and Password are confidential. You are responsible for maintaining the confidentiality and security of your Username and Password, and any and all related transmissions or communications using your Username and Password, whether or not authorized by you. You must not share your Username or Password with anyone else or permit anyone to access the Website using your personal Username and Password. You are responsible for promptly advising Subscriber of any need to change or deactivate your Username or Password. You acknowledge and agree that Subscriber may, but is not obliged, to maintain any documents and information posted to a Website beyond the conclusion of the Research Project as determined by Subscriber at its sole discretion. All documents and information posted on a Website are posted in good faith but neither Subscriber nor Iseehear makes any representations or warranties of any kind, express or implied, regarding the content, completeness or accuracy of the documents and information posted to a Website. Any use or reliance upon any document or information posted on a Website by you or any other Website User shall be at your or his or her risk, as the case may be. Neither Subscriber nor Iseehear undertakes any obligation to provide Website Users with access to any additional information or to update or complete the documents or information posted to a Website or correct any inaccuracies therein. are unrelated to the Research Project. Subscriber may take such remedial action as it considers appropriate if the documents or information you or any other Website User posts violate this provision; however, neither Subscriber nor Iseehear is under any obligation to review any documents for accuracy or potential liability. Website User grants to Subscriber a right and license to use, copy and modify such documents and information to the fullest extent necessary for Subscriber to operate the Website and facilitate completion of the Research Project for which the documents and other information were posted. notify Subscriber, promptly by e-mail, of all court orders restricting the use, distribution or disposition of any documents or information posted to Website by you or on your behalf. You acknowledge that you do not have the right, and you hereby promise not, to reverse engineer, disassemble, decompile, unlock, recreate, copy, license, sublicense, create derivative software from, sell, rent, lease, loan, distribute, transfer or otherwise deal with any of Iseehear's technology. You promise not to assist any third party to do any of the foregoing. As between you and Iseehear, Iseehear owns and will own all intellectual property rights in its own technology, including the websites you access in order to use the Iseehear technology and each Iseehear Website, including the look and feel of the Website and the underlying technology, database designs and architecture and any elements of such technology that are intrinsic to such technology. Iseehear has no intellectual property rights in the documents and data you post to the Website. The posting of documents and information to the Website will not affect any right, title, or interest (including without limitation all copyright and trade mark rights) of you or any other Website User or any other person in the documents and information posted. information that becomes available on an unrestricted basis to a third party from the disclosing party or from someone acting with its authorization or under its control. You will not at any time without the prior written consent of the appropriate other party publish, disclose or otherwise disseminate, duplicate or use, directly or indirectly, Confidential Information of the other party to or for your own benefit or that of any of your employees or subcontractors or any other third party. You acknowledge that the Internet is an open system and that Subscriber cannot guarantee that third parties will not unlawfully access the Website and the Website User's Confidential Information. THE SERVICES OR THE SERVER(S) THAT MAKE THE SERVICES AVAILABLE ARE FREE OF VIRUSES OR OTHER HARMFUL COMPONENTS. THE WEBSITE IS PROVIDED STRICTLY ON AN "AS IS" BASIS. EXCEPT AS SPECIFICALLY SET FORTH IN THIS AGREEMENT, ALL CONDITIONS, REPRESENTATIONS AND WARRANTIES, WHETHER EXPRESS, IMPLIED, STATUTORY OR OTHERWISE, INCLUDING, WITHOUT LIMITATION, ANY IMPLIED WARRANTY OF MERCHANTABLE QUALITY, FITNESS FOR A PARTICULAR USE OR PURPOSE, OR NON-INFRINGEMENT OF THIRD PARTY RIGHTS, ARE HEREBY DISCLAIMED TO THE MAXIMUM EXTENT PERMITTED BY APPLICABLE LAW BY SUBSCRIBER, ISEEHEAR AND EACH OF THEIR LICENSORS. Subscriber has taken reasonable precautions and implemented measures to protect the security of the information and materials posted on the Website. However, Subscriber does not warrant that the Website will be compatible with your computer operating system, or that your access to the Website will be uninterrupted, timely, completely secure or error free. You understand and agree that any material downloaded or otherwise obtained through your use of the Website is done at your own discretion and risk and that you will be solely responsible for any damage to your computer system or loss of data that results from downloading such material. Neither Subscriber nor Iseehear nor any of their respective partners, associates, employees, agents, successors, assigns, affiliates, or content or service providers shall be liable to you or any other Website User or any third party for direct or indirect damages of any kind, including without limitation loss of profits or other economic loss, or for any exemplary, incidental, special or consequential damages, even if it has been advised of the possibility of such damages, arising out of the posting or non-posting of documents and information, the design, functionality or use of the Website or inability to gain access to or use the Website or any part thereof or to any documents and information, or out of any breach of any warranty, express or implied. All sales are final 30 days post account activation. Iseehear will ensure that its servers and other information technology systems under its control that allow access to the Website are operating at a rate of 99 percent of potential uptime. Potential uptime is the number of hours in a particular calendar month less planned downtime of 12 hours per calendar month, but no more than 8 consecutive hours at any given time. If required, planned downtime will occur only during the night-time hours between 9 p.m. and 3 a.m., Eastern Time (Toronto). If downtime is required or in the event of service disruption, event status information will be posted and updated at the Iseehear: Health Status Check Dashboard https://iseehearhealth.com/status. Iseehear will maintain the Technology in good working order in accordance with its Functional Specifications. Iseehear will provide support desk response to Website Users within 24 hours of receipt by way of phone or email. Iseehear will cause to be maintained at all times data centre physical security consisting of uniformed security personnel both on-site and in the surrounding area 24/7/365 as well as an industry standard security system and security protocols. This physical security system of the data centre is a configurable point monitoring and access control system providing a reliable means of monitoring building security devices and systems such as card readers, alarm management, recording of data and comprehensive reporting capabilities as well as a photo identification system. Incorporated into this system are optical turnstiles, which provide a second level of security at the main entrance to the data centre. There are closed circuit television (CCTV) cameras located through-out the building housing the data centre. Application firewall that actively monitors user behaviour to ensure it within acceptable parameters of application use. Any unusual behaviour is flagged and the user session terminated automatically. Iseehear backs up data physically once each day to an out of district location in case of failure of the data centre. Iseehear is responsible for delivering regular upgrades and continuous enhancements to the Website. Iseehear will notify you prior to releasing upgrades and new functionality and will notify you again once the upgrades and new functionality have been deployed. There are no additional provisions at this time. Iseehear is a trademark of Iseehear Inc. Copyright (C) 2000-2019 Iseehear Inc. All rights reserved.